Today the Ad Council, in partnership with The Humane Society of the United States (HSUS) and Maddie's Fund®, launches a new series of public service advertisements (PSAs) on behalf of The Shelter Pet Project campaign. In the new ads and online experience, adorable adopted shelter dogs and cats practically reach through TV, computer and tablet screens, imploring audiences to play with them. Prospective pet owners are reminded that there are thousands of amazing shelter pets ready to meet them. Draftfcb Chicago, the volunteer advertising agency who created the ads, took a playful approach to breaking down shelter pet adoption barriers in the new TV, outdoor and web PSAs. The individual personalities of real-life adopted shelter dogs and cats are showcased with the pets playfully licking or pawing at screens seemingly in an effort to reach pet lovers on the other side. Each PSA concludes with the message that, "The only way to find out how amazing shelter pets really are...is to meet one," and invites viewers to visit TheShelterPetProject.org to learn more. 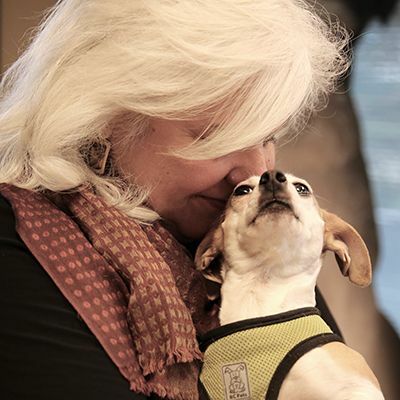 Since its inception in 2009, The Shelter Pet Project has worked to lift public perception of animal shelters and shelter pets and has been part of driving down the number of pets who lose their lives in shelters by 12%. Three to four million shelter pets get adopted each year, which means just 29% of dogs and 33% of cats in American homes were adopted from shelters or rescue groups.1 2.7 million healthy or treatable pets still need our help to find a home each year. "There is no power greater than the compassionate hearts of animal lovers," said Maddie's Fund President Rich Avanzino. "That's why we know that when this campaign introduces these amazing dogs and cats to the public, we're going to see a wave of people heading to the shelters to ‘meet' their future family members." "We are so proud of the success of this campaign in reducing stigma and euthanasia rates over the past four years, but much remains to be done," said Peggy Conlon, president and CEO of the Ad Council. "Our hope is that this new round of innovative and interactive work will inspire even more people to head to their local animal shelters to meet their new pet companions." Prospective pet owners are encouraged to visit www.TheShelterPetProject.org, where they can search available pets by zip code, read adoption success stories and learn valuable information about pet adoption. For daily updates, follow The Shelter Pet Project via social media on Facebook, Twitter @shelterpets, Pinterest, Instagram and Tumblr. To date, The Shelter Pet Project campaign has received approximately $155.6 million in donated media. The campaign website received over 1.2 million visits in the past year. Per the Ad Council model, the PSAs will be distributed to media outlets nationwide and run in advertising time and space donated by the media. Twenty years ago, a Miniature Schnauzer named Maddie inspired a $300 million legacy to revolutionize the status and well-being of companion animals. Maddie's Fund is the family foundation endowed by the founder of Workday® and PeopleSoft, Dave Duffield and his wife, Cheryl. It is named in honor of Maddie, their beloved Miniature Schnauzer who passed away in 1997. Today, through its grant giving, hands-on animal care, research and education, Maddie's Fund is helping to achieve and sustain a no-kill nation by providing solutions to the most challenging issues facing the animal welfare community. The Humane Society of the United States (HSUS) is the nation's largest animal protection organization, rated the most effective by its peers. Since 1954, The HSUS has been fighting for the protection of all animals through advocacy, education and hands-on programs. The Ad Council is a private, non-profit organization with a rich history of marshaling volunteer talent from the advertising and media industries to deliver critical messages to the American public. Having produced literally thousands of PSA campaigns addressing the most pressing social issues of the day, the Ad Council has effected, and continues to effect, tremendous positive change by raising awareness, inspiring action and saving lives. 1 Figures were compiled from the 2013-2014 APPA National Pet Owners Survey and estimated by The Humane Society of the United States using statistics provided by The National Council on Pet Population Study and Policy.